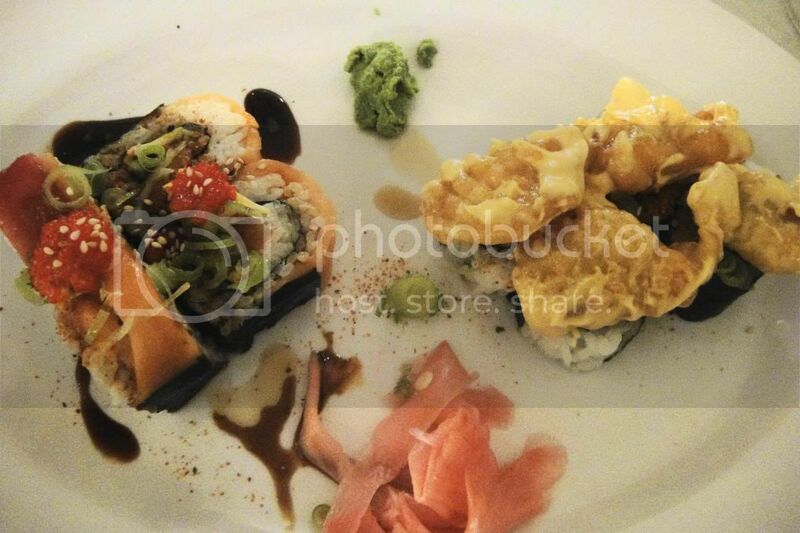 Andy’s Sushi Bar is a new sushi spot in Sea Point – and at the time of writing they have a 20% off opening special. They are now charging at full price. Andy is a ex sushi chef from Willoughby&Co. So expect a very similar menu to Willoughby’s with more variety and much more reasonable prices. Fellow restaurant bloggers have some very polite ways of describing the interior- I’m not going to beat around the bush. Andy’s decor leaves much to be desired – you sit on plastic chairs, with laminated pictures as place mats and above your head hand china town decorations. BUT you are not going to visit Andy’s for a glamorous evening – you’re going to visit for the delicious sushi! Andy’s is still relatively new and I look forward to their future developments! The sushi is delicious- and really great value. All prices quoted below are before deducting the opening special. I recently popped in again for a take away order- the sushi was absolutely delicious but my advice would be to phone in and order because we waited for about 50minutes for our order. These are the delicious prawn fashion sandwiches for R45! Look at the size of them! These guys are rivaling Takumi in jaw-unlocking size sushi! They were really delicious with lots of sesame seeds, spring onion and mayo. Super fresh ingredients too! These are the Tiger rolls at R59 for 8. They are California rolls with prawn and avo inside and prawn and avo on top! Very yummy- but more plain basic sushi. I would upgrade these with a drizzle of sweet soya sauce and 7 spices! 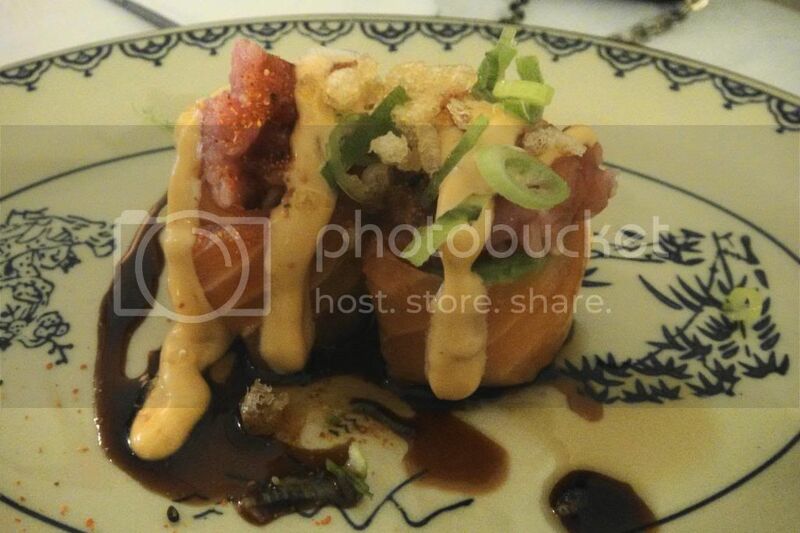 But then again – I like overboard sushi! And here are the famous 4×4!! I did not expect them to be as good as Willoughby’s but was pleasantly surprised to find that they were! And at R79 – they are much more affordable than Willoughby’s at R119! 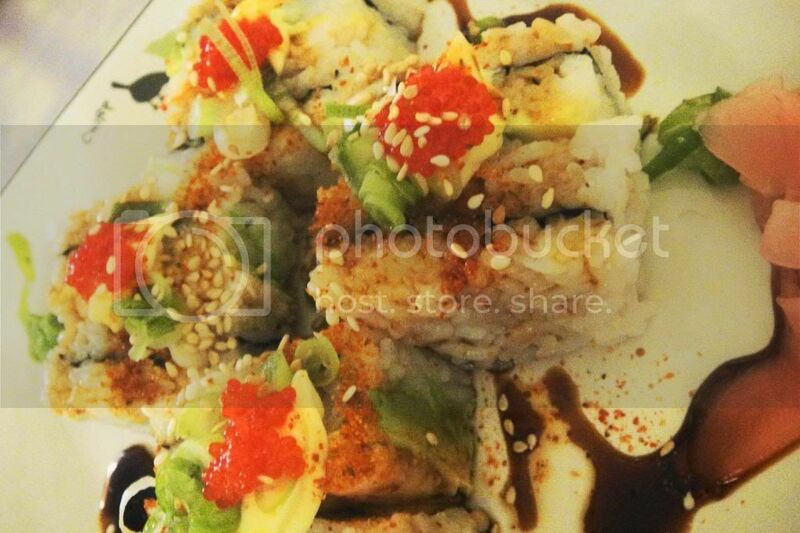 The 4×4 is made up of 4 rainbow rolls reloaded and 4 spicy creamy rock shrimp rolls. The rainbow rolls reloaded are outstanding! Willoughby’s in my opinion makes the best rainbow rolls and these are just as good! 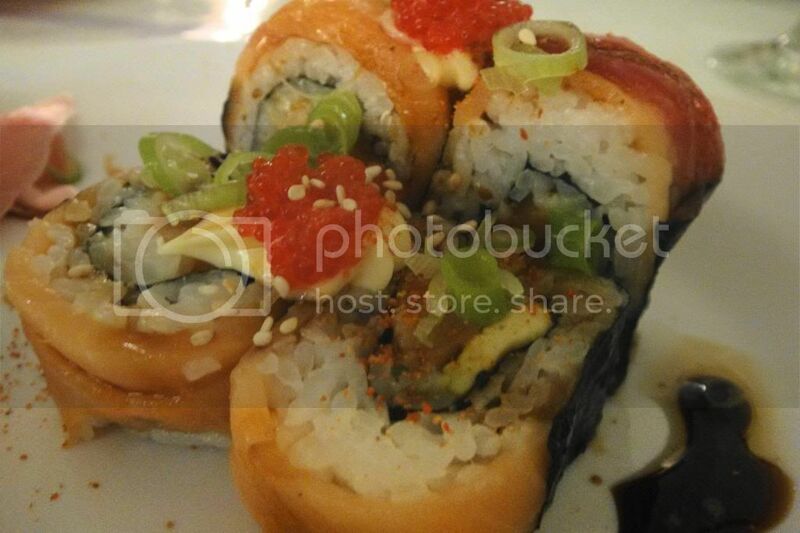 Big props to Andy – if you can pull of a great Rainbow roll you’re going to do well! 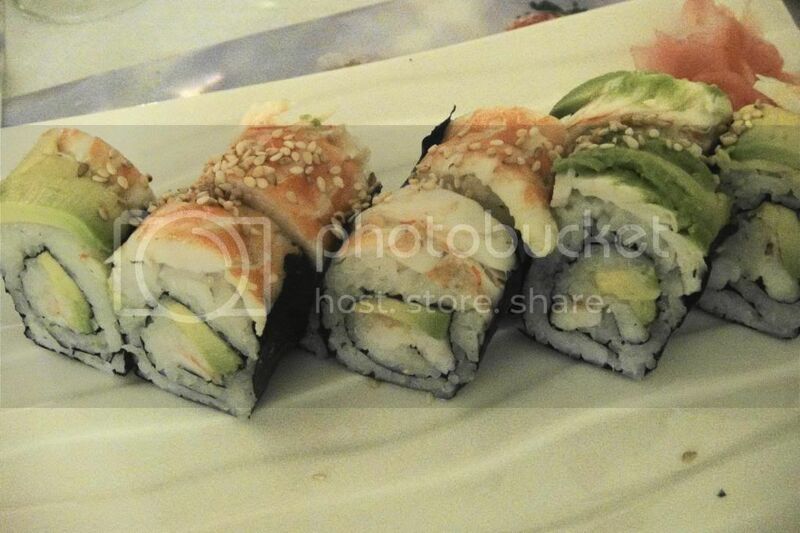 The rolls are delicately rolls with amazing fresh fish and plenty of flavour. Really outstanding. Probably the best of Andy’s! 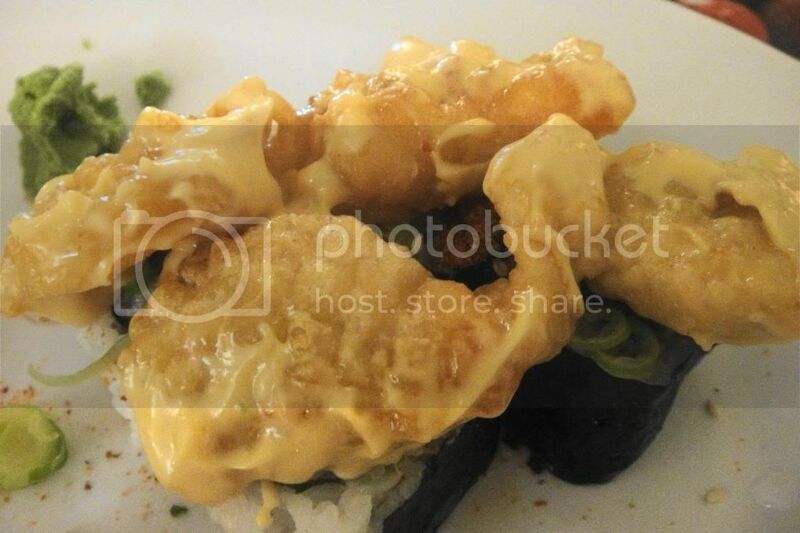 The creamy rock shrimp rolls have gorgeous crispy prawns on top covered with a crunch batter and sweet delicious mayo! Be warned the little California rolls beneath are surprisingly spicy! Really delicious – we planned on sharing – but ended up ordering two!! 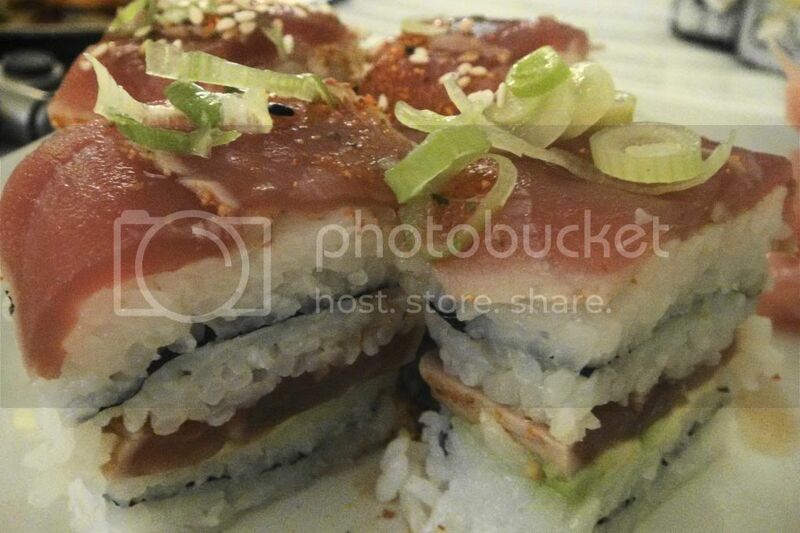 This is the Volcano Fashion Sandwich – four giant sushi towers for R45. Again – giant giant sushi! I had to take them apart so each giant tower became two pretty pieces of sushi. Volcano sandwiches are seared tuna sandwiches with chilli mayo and these guys are pretty damn hot! Really delicious and filling though. At Willoughby’s these are known as Salmon Rose Grenades. At Andy’s they are called Salmon Fires. They are just as delicious!! They are pretty little salmon roses topped with chopped spicy salmon with a creamy spicy mayo and sweet soya sauce with tempura chips and spring onions. Absolutely delicious and packed with flavour- one of my favourite sushi choices. They do not have a liquor license so drink your own alcohol free of corkage. And there is not credit card facility so make sure to bring enough cash.